The digital divide between rural and urban areas is well known and documented, and is at risk of becoming a wider gap going forward. Data shows that unemployment is higher where broadband adoption is lowest. Household income suffers, along with education rates. Through the years, the federal government has launched programs to try to close this gap, most recently this week. During a speech at the American Farm Bureau Federation’s annual convention Monday in Nashville, President Donald Trump announced plans to encourage further expansion of broadband in rural America through two presidential orders that seek to streamline processing of requests to locate broadband facilities on federal property and remove obstacles to broadband infrastructure deployments in rural areas. Some technological advancements may be able to bridge the digital divide. While years ago, the cost of deploying broadband services would have been prohibitive, today’s various delivery-technology solutions make broadband deployment more feasible. The expansion of fiber networks combined with the existing Wi-Fi and cellular network services — and even the potential launch of new low-earth orbiting satellite constellations for broadband services — provide more options to make the goal of deploying additional broadband services to rural areas a reality during the next several years. Several recent technology advances have made the business case for deployment of broadband services in rural areas more feasible. • While traditional wireless networks initially were designed and deployed to cover roads and vehicular traffic (then pedestrian and ultimately indoor connectivity), current data usage patterns indicate it would be more feasible to provide fixed mobile broadband services in rural areas — first to indoor locations and then outward toward a macro network once traffic increases. Some mobile operators are delivering fixed wireless broadband services that eliminate the need for last-mile fiber runs and fiber-to-the-home requirements in these less-dense areas. Long-term plans call for using 28 GHz — 33 GHz spectrum for line-of-sight fixed wireless services. • Another option could be deployment of small cells inside these indoor locations with a combination of microwave backhaul solutions to eliminate the need for delivering fiber to each location. Microwave backhaul links could be aggregated at a point-of-presence and from there hauled back to a carrier’s core network. Several non-line-of-sight backhaul platforms are under development, which could make this approach feasible. • A third option, which would require a significant effort to foster collaboration between several major competing companies, would be to design and deploy a shared, neutral-host network. Such a network initially could be designed, deployed, and expanded as needed. A combination of unlicensed and available licensed spectrum could be used, and service providers that would agree to use the network would share the cost of deployment. As more companies signed on to be part of the system, the cost to deploy such a network would be reduced, allowing broadband expansion into rural areas without the need for multiple network buildouts and their associated deployment and ownership expenses. • There have been recent announcements related to the design and launch of new low-orbit satellite constellations that would be used solely for delivering broadband services. While this approach will take time before it is entirely in place, it presents yet another technology solution, where the sheer ability of satellite constellations to cover mass areas would be useful to provide coverage and services to rural areas that today are out of the reach of terrestrial networks. Existing satellite-technology companies also are working on improving coverage and latency as well. • The FCC recently reallocated 3.5 GHz spectrum, which presents another promising alternative. Commonly known as Citizens Broadband Radio Service, 3.5 GHz consists of 150 megahertz of spectrum to be used in three tiers. The creative-use cases and technology advancements that this open market will likely provide may cast a positive outcome for rural America in the future. The Priority Access License would assign 10 megahertz of spectrum to licensees exclusively for one year, and the Incumbent Access tier would include the federal government and satellite services that use the spectrum today. Companies engaged in this initiative include some of the largest and most influential in the market: American Tower Corp., AT&T Corp., Boingo Wireless, CommScope, Crown Castle Inc., ExteNet Systems Inc., SpiderCloud Wireless, T-Mobile USA and Verizon, among others. As a society, we must enable and enact policies that support the rapid deployment of advanced mobile broadband services. Many local communities have outdated permitting processes that create barriers to building robust wireless infrastructure. Capacity demands will increase exponentially and place tremendous pressure on spectrum availability and existing infrastructure. The Wireless Infrastructure Association applauds President Trump’s ongoing efforts to improve access to mobile broadband networks in communities throughout the United States. By streamlining the permitting process for siting wireless infrastructure, the federal government is reducing barriers to the deployment of the wireless networks that will deliver real economic benefits to rural communities. We are encouraged that the President has directed the GSA to take a fresh look at its application forms and require that many land management agencies utilize these forms. Further, new timelines and reporting requirements will add accountability to an otherwise opaque process of siting wireless infrastructure on federal property. 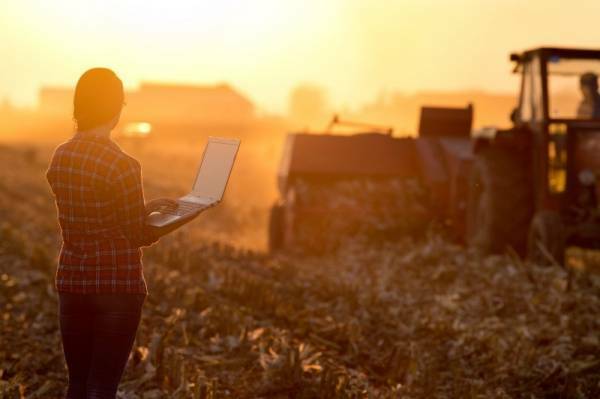 Learn more about how wireless technologies could impact America’s Heartland.